Q: What subscription plans are available? Share your passion for tea with friends and family this holiday season. Surprise the birthday celebrant with an email greeting and subscription set in advance to arrive on their special day. $24.95 each year (recurring). Price includes unlimited articles, mobile app (iOS/Android). 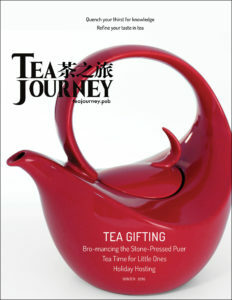 Subscribers for the 12-month period of Tea Journey‘s inaugural year are considered Charter Subscribers. However, only those who subscribed before July 1, 2016 are listed on the Charter Subscriber “Thank You” page. $3.95 each month (recurring). Price includes unlimited articles, mobile app (iOS/Android). $14.95 per issue. Three issues are published each year. Price includes unlimited articles and mobile app (iOS/Android). $249.50 each year. Price includes 10 gift certificates redeemable for an annual subscription to present to clients, prospects and friends in tea, unlimited articles. Founding sponsorships are available to companies throughout Tea Journey‘s first year of operation (until June 30, 2017), but only those who purchased a sponsorship prior to July 1, 2016, are listed on the “Founding Sponsor Thank You” page. $14.95 per issue. Price is for subscribers for a perfect-bound print copy plus $5.00 for shipping & handling. Postage varies with destination. To learn more, click here. $1.95 for 72-hour access. Check out the rich content and we know you will want more. Annual subscribers receive an e-mail notice prior to release of issues during the 12-month subscription period and periodically (about every 10 days) receive notifications of blog posts. 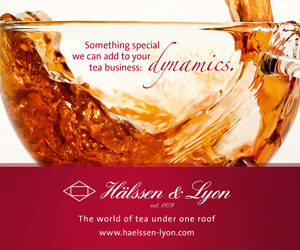 Notifications are optional but recommended to view timely posts to the Tea Journey blog. Charter subscribers (who subscribed prior to July 1) have their name printed in the inaugural issue (in the order of purchase). Q: I received a free charter subscription from a founding sponsor. How do I subscribe? Charter subscriptions are activated online with a coupon code printed on the gift certificate. They can be redeemed for 12 months of unlimited access to the magazine’s web and mobile app editions in iOS or Android. The coupon unlocks up to 5 devices. 2) In the “Charter Subscriber (discounted 55%) Unlimited Articles” form, click “Have a Coupon?” and enter the case sensitive redemption code found printed on the certificate. After the page refreshes, press “Subscribe” and fill out the form. Submit. You’re now subscribed to Tea Journey magazine! NOTE: A green “halo” around the subscription indicates your current subscription level. When the “have a coupon” bar is dark it means you have already redeemed the certificate. Only one certificate can be redeemed at a time. Q: What do I get with a charter subscription? 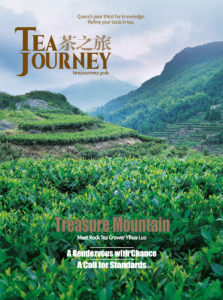 Charter subscribers and Kickstarter backers who donated $15 or more receive 12-month unlimited access to all content posted to the Tea Journey website (teajourney.pub). Annual subscribers also receive a token to unlock smartphone and tablet apps (iOS and Android) on up to five devices. Subscribers also receive a downloadable PDF for each issue and access to a digital flipbook. There is an additional charge to order perfect-bound printed copies. Charter subscribers are listed in the inaugural issue and online in the order they subscribed. Those who opt-in get a monthly newsletter and blog posts every 10 days or so. Click here to see your name in the Charter issue. Go to teajourney.pub then click “my account” to login. Next, click “cancel” and confirm. Cancellations take effect at the end of your billing cycle, and we can’t give partial refunds for unused time in the billing cycle. Q: I am still not sure how to subscribe/having trouble.